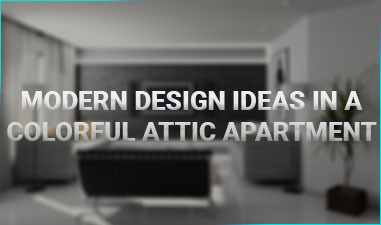 Architecture has never been more fascinating than it is today with its modern house plans and designs. 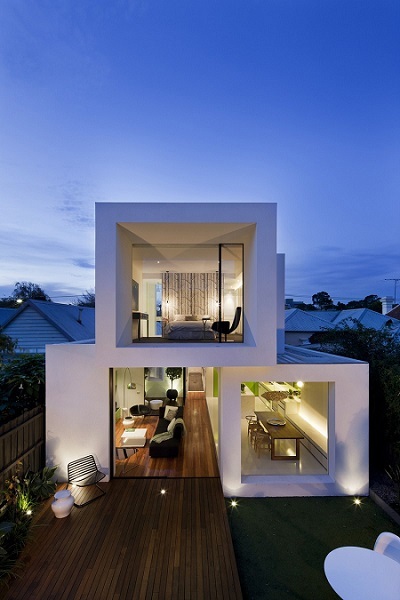 Modern architecture somehow managed to break away from cookie-cutter designs and dull aesthetics. 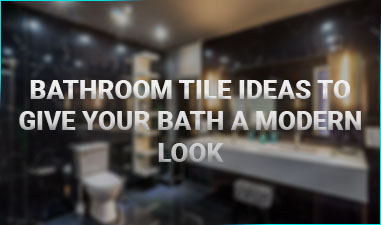 Instead of replicating the same projects over and over again, irrespective of the layout or location, it strives to achieve a perfect balance between form, function, and purpose. 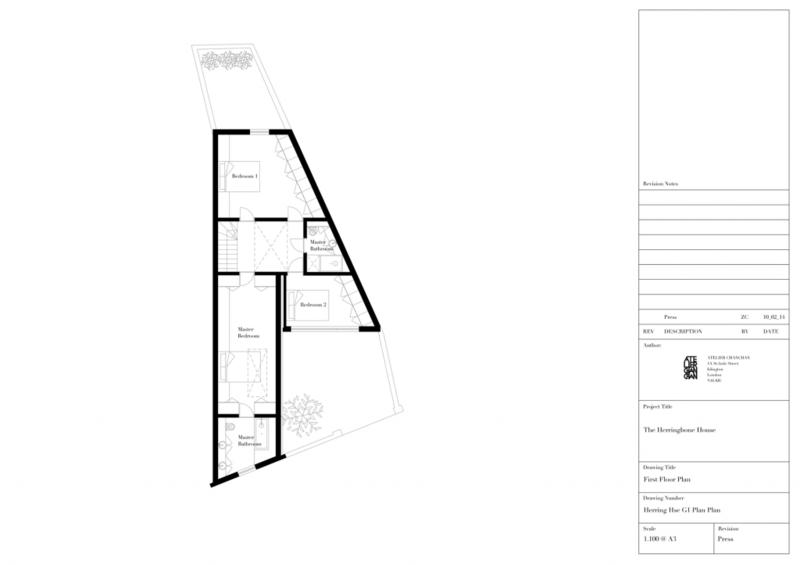 Modern house plans are designed according to the client’s specific needs, and the surrounding area. Each new project tries to integrate itself in what is already built, and serve its purpose in the simplest way possible. 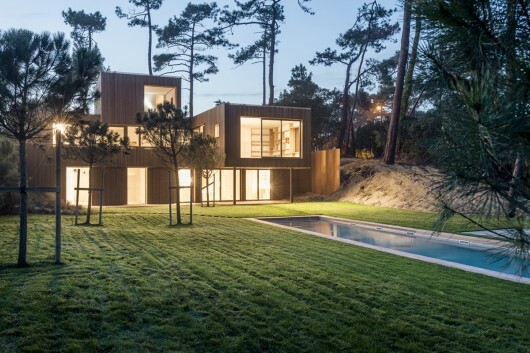 In this article, we take a look at 12 stunning modern house plans and designs, but not before we provide a few of the main characteristics of modern architecture. 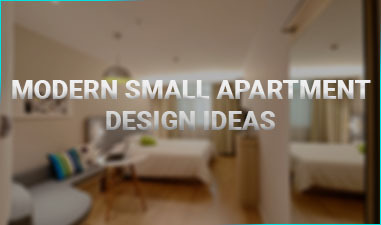 When we think of residential modern architecture, we identify some very clear characteristics. 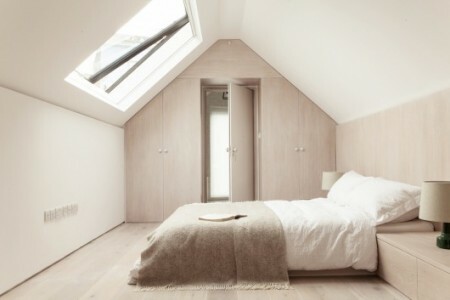 The first one is the simplicity of form and design. 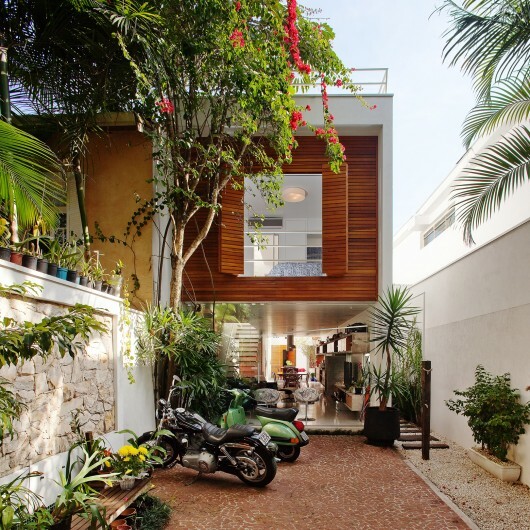 Modern architects refuse to destroy their creations with unnecessary elements. 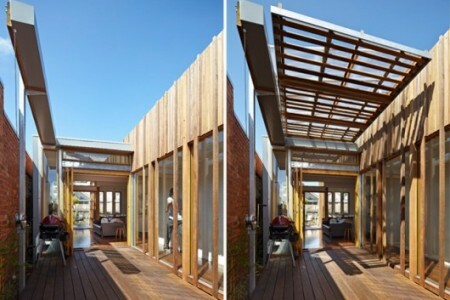 It is not the building itself that has to stand out, but the surrounding space that should enhance the overall image. Less is more means that modern tastes enjoy simplicity and clarity. 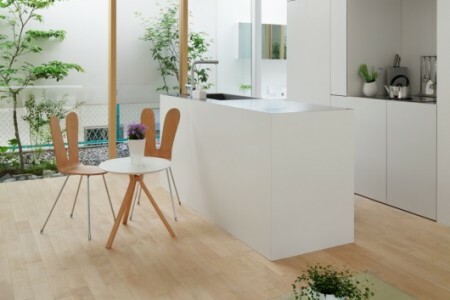 This clarity can also be seen in modern house plans, which are typically designed as open spaces. 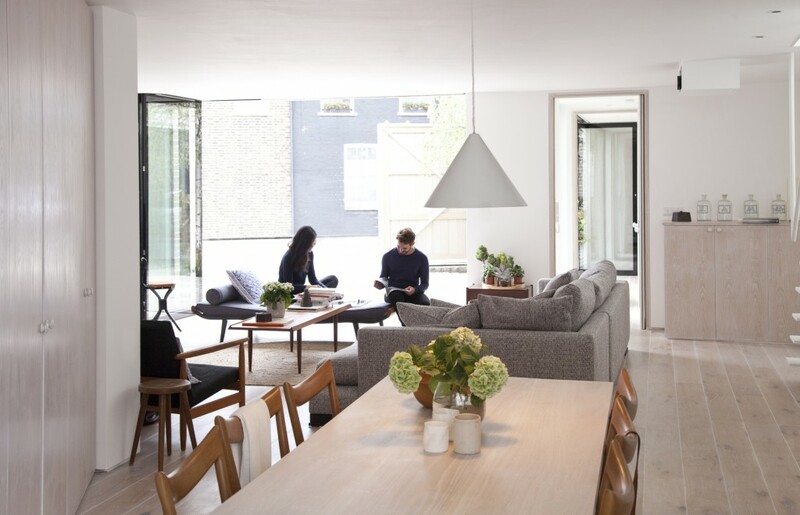 Social space is very important within the house, and this means that the living, dining, and kitchen area are part of the same space, and act as a gathering point for the family, while the private rooms become sunken spaces which can also pocket spots for conversation. 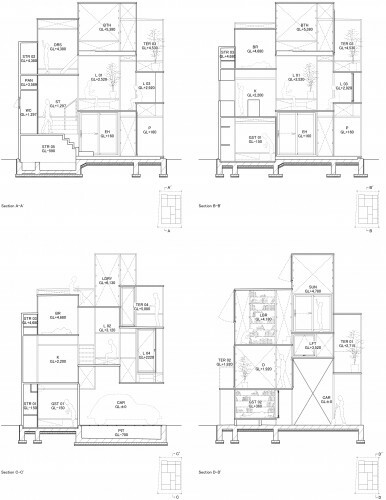 Additionally, modern architecture is very open. You will rarely see a house that is closed in itself. 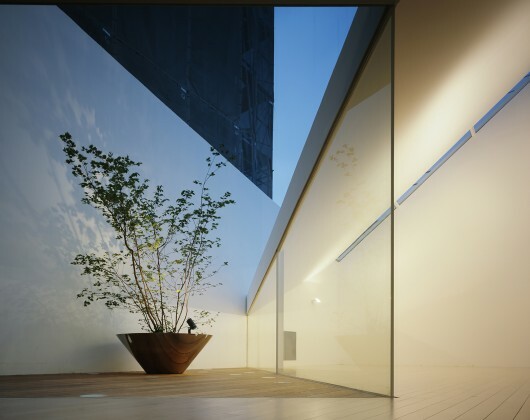 Instead of interior walls functioning as support walls, they serve as room dividers, hold inner courtyards, and create large glass windows that mediate the relationship between the public and the private space. Architectural design often begins with modern house plans that dictate the function and form of the ensemble. 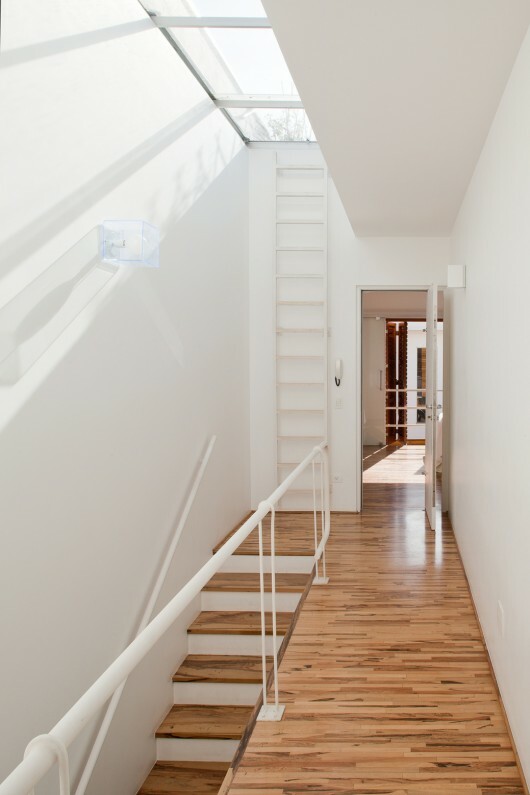 The Herringbone House is the perfect example of modern architecture that harmonizes with its surroundings. 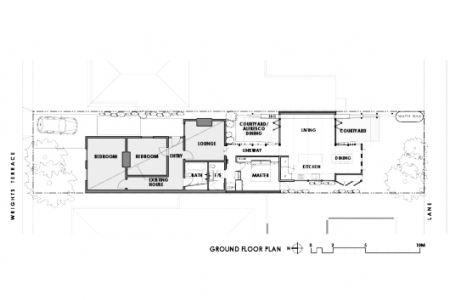 The modern house plans were designed in accordance with the weird wedge-shaped lot. The house consists of two major volumes: a gable-ended one at the front of the site, and a set-back rectangular one in the narrow backyard. 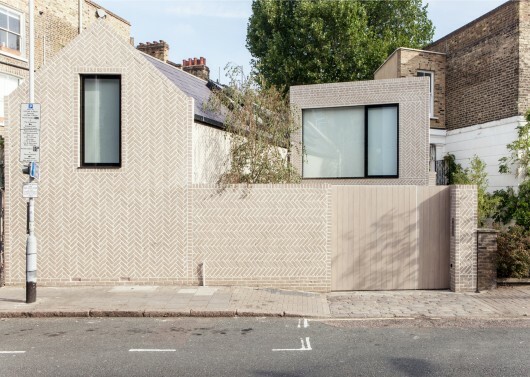 Although the material is consistent with the street’s image (herringbone brickwork), it sets the house apart from its neighbors. 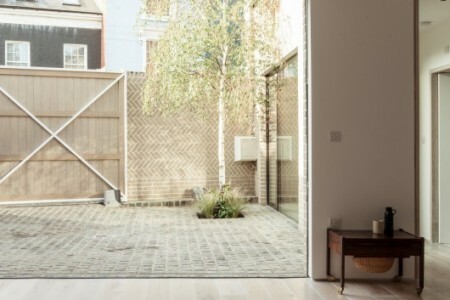 The most interesting thing about it is the fact that it ends in two walled courtyard spaces which ensure that sufficient natural light enters, and that the interior is properly ventilated. 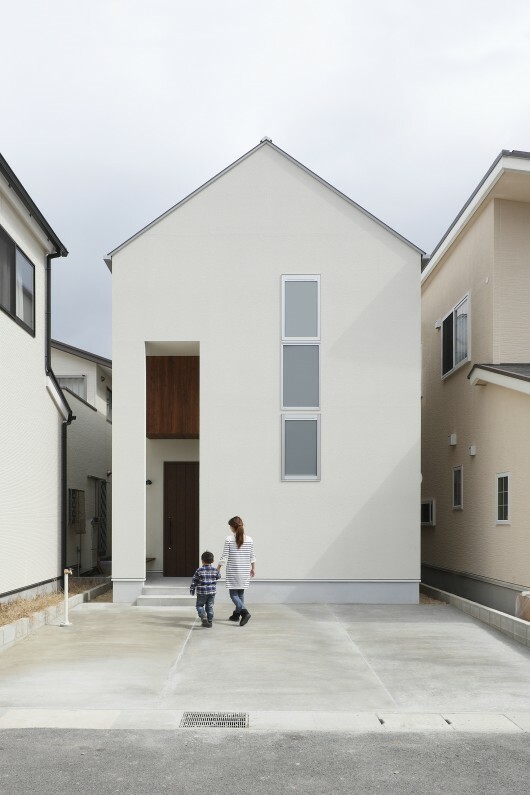 House M-M was designed for an extensive family: parents, children, and grandparents. 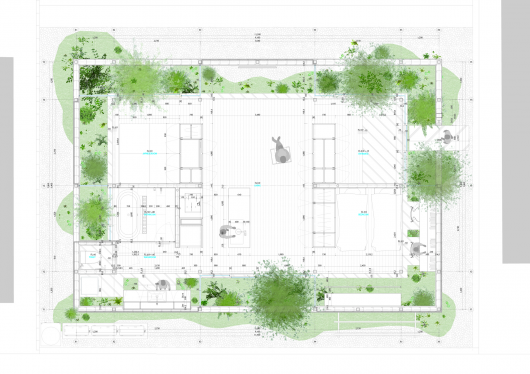 This meant that it had to have a large public space and some private spaces for everyone to retreat to. 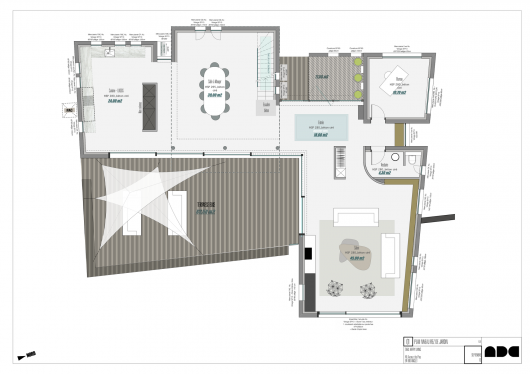 This modern house plan was designed with the beneficiaries in mind. 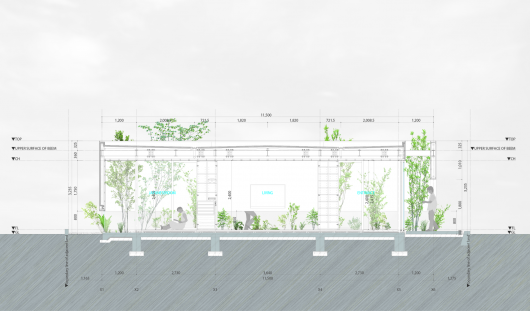 An important aspect of the architectural process was its environmentally-friendly and sustainable nature. 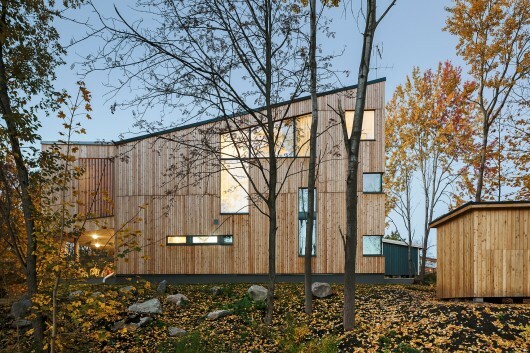 Therefore, the home was created with wood, benefits from floor heating, and can support solar energy panels. 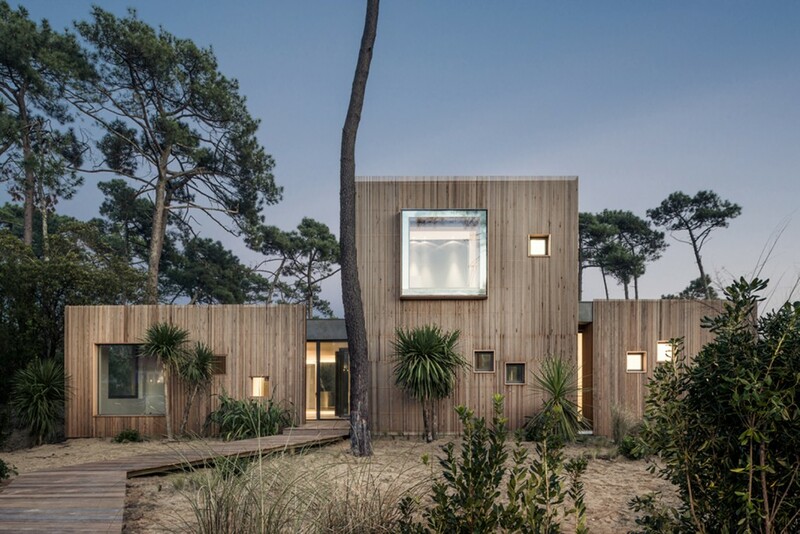 The facades also have large windows which bring nature inside and give the feel of a tree house. 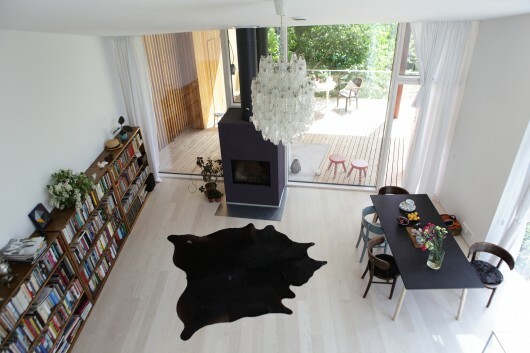 The designer wanted a house that is both contemporary, homely, and full of character. The house had to respect the surroundings and the natural features of the environment, but still be a self-contained whole by itself. 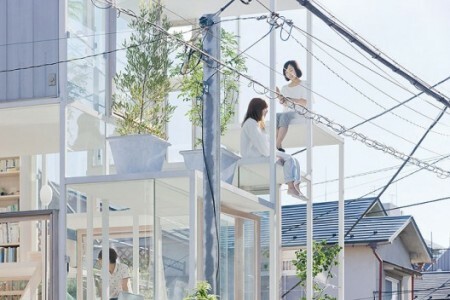 Sou Fujimoto Architects are already very well known for their radical designs, so it was only a matter of time until they came up with another spectacular house. 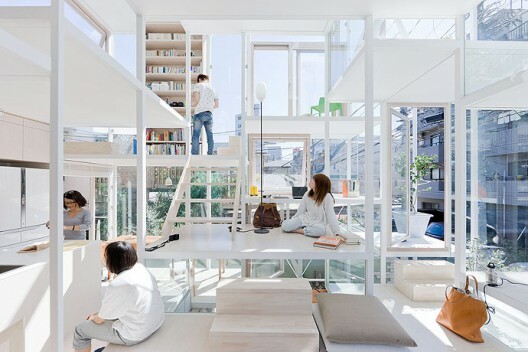 Japan is also known for its incredibly dense living areas, and narrow lots. Most houses are introverted, and present inner courtyards, but House NA has taken a totally different approach. Associated with the concept of living in a tree, this spacious interior features 21 individual floor planes situated at separate heights. 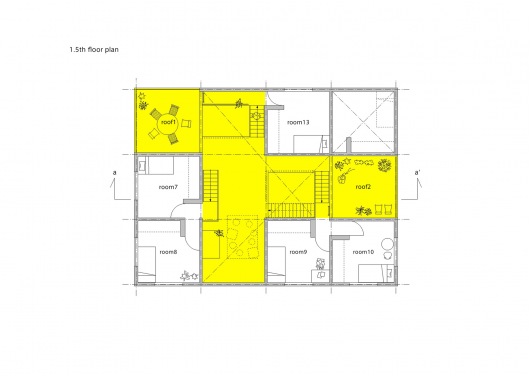 The floor planes are designed to satisfy the needs of the beneficiaries. 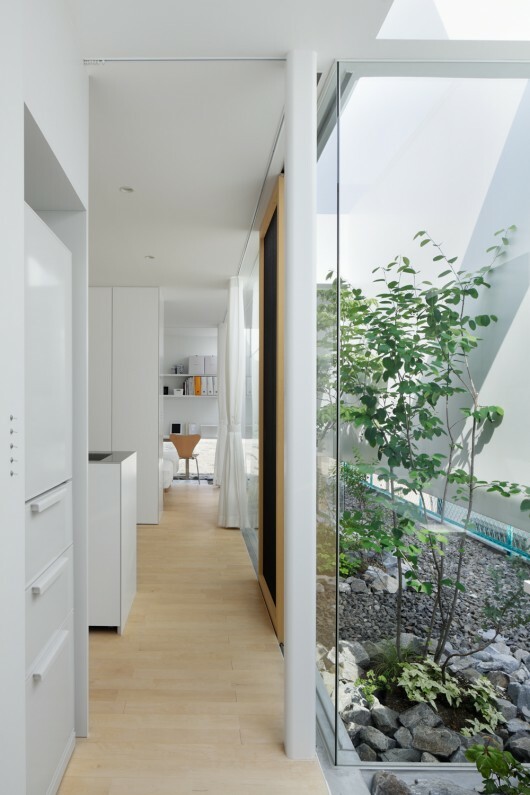 You might notice that the white steel-frame does not look like a tree at all. 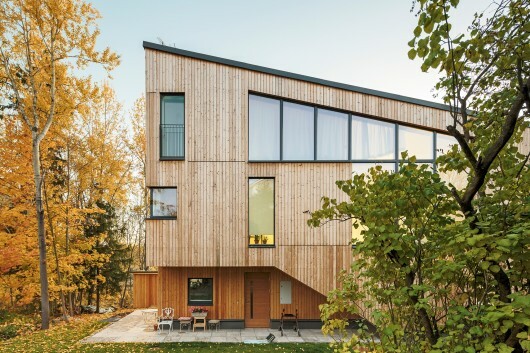 However, the life and the moments found in this house are meant to be a contemporary adaptation of the life of our ancient predecessors, which was a rich on, even when they lived in trees. 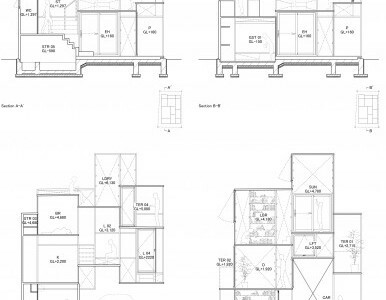 The connection between architecture, city, furniture, and the body is also present between artificiality and nature, and this is what this modern house plan wants to show. This house is the exact opposite of the NA House. 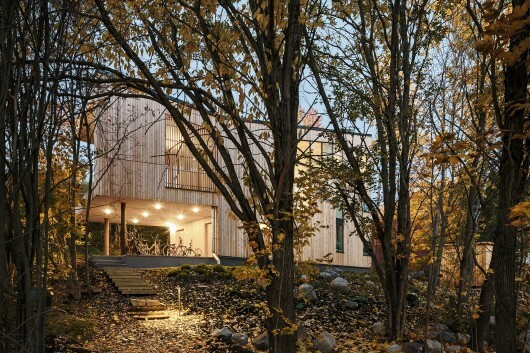 The “Hill on a House” stands on a similar lot as the previous example, but the approach was very different. Each of the surrounding buildings is very tall, except the one on the northeast side, where it faces a street. 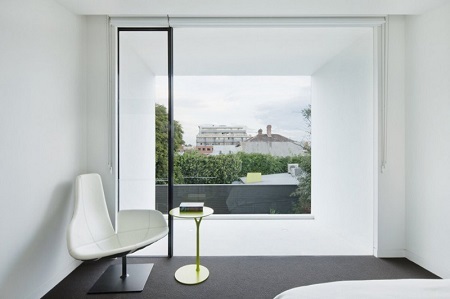 The challenge was to bring light inside, and to open the volume to the scenery without losing the feeling of privacy. 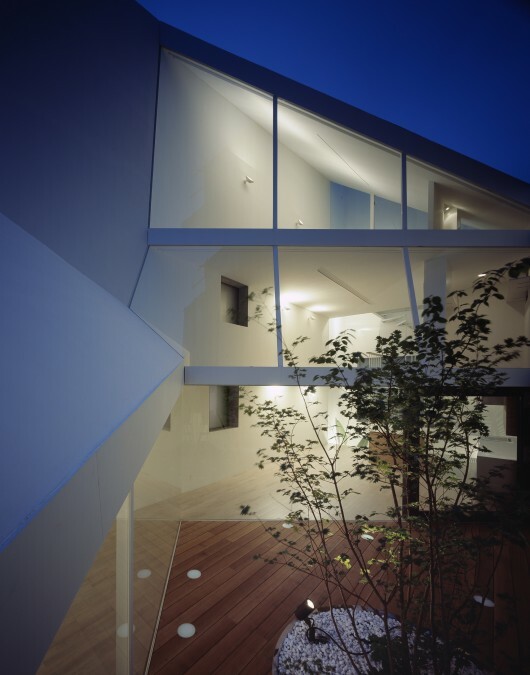 The conditions inspired the architects to raise a white, illuminated “hill” in the house. 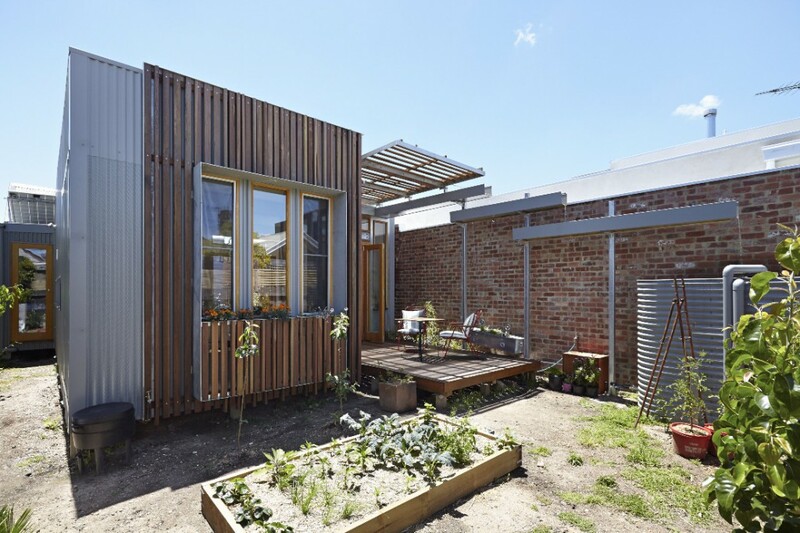 The materials on the sloped roof reflect sunlight on the inside, and they highlight the inner courtyard as well. You cannot reach the hill itself, but you can see it from the house. 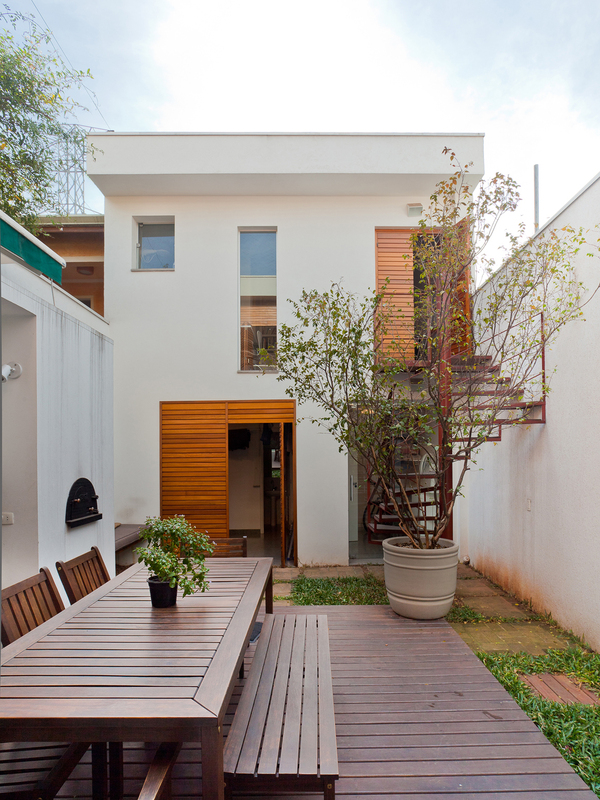 The Brooklin House is located on a quiet street in Sao Paulo. It faced a few challenges from the beginning. The site is very narrow and long (5.5m x 33.0m). 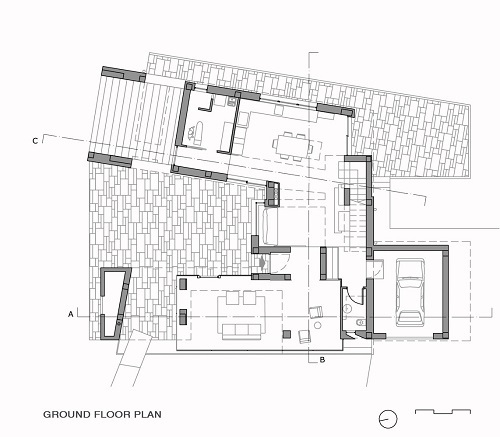 The site limitations resulted in open modern house plans, to avoid visual barriers and create a fluid space. 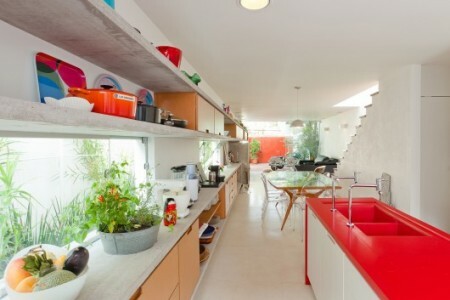 Along the left wall, there is a long, concrete piece of furniture which organizes the ground floor and provides storage units for the living room and kitchen. 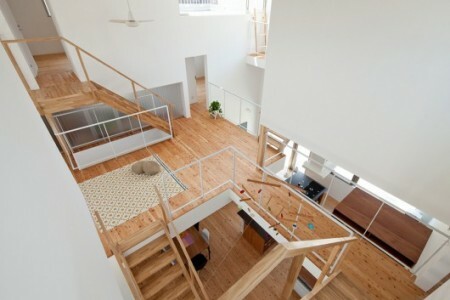 On the opposite wall, we can find long stairs which are bathed in sunlight through the glass roof. 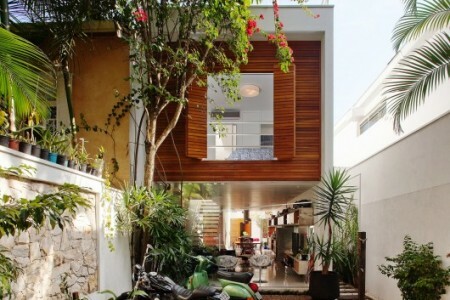 This stunning house plan is one of the many modern house plans built by Galeria Arquitetos. 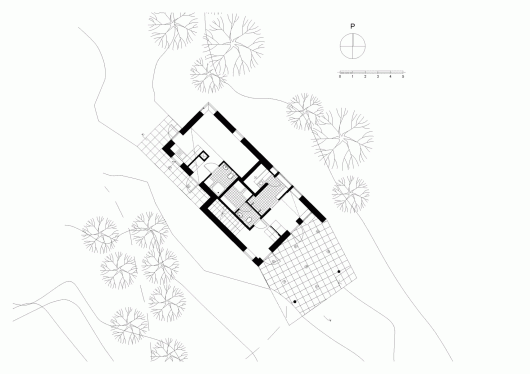 Villa Chiberta is every architect’s dream. 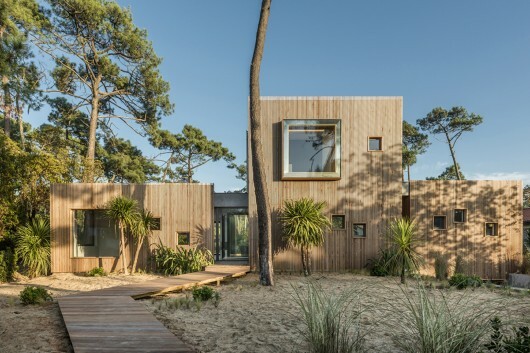 The lot can be found in a big forest of pines, right near a beach. 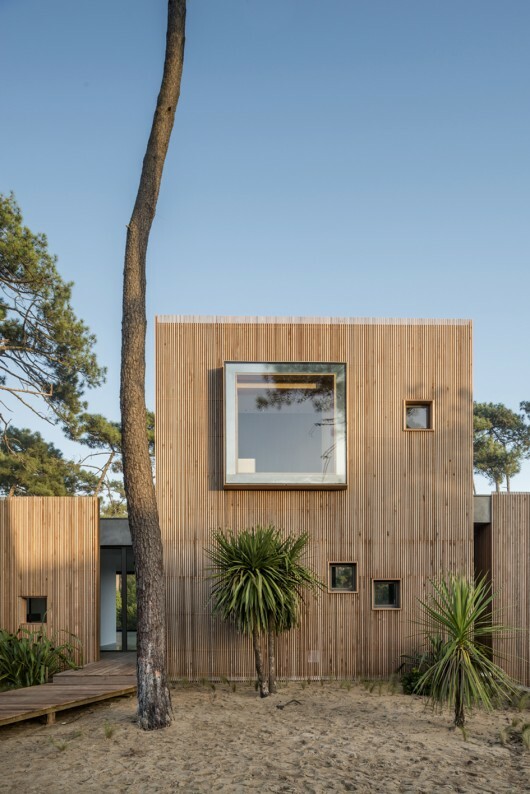 The trees draw a vertical line which anticipates the wooden batten of the house and its insertion. 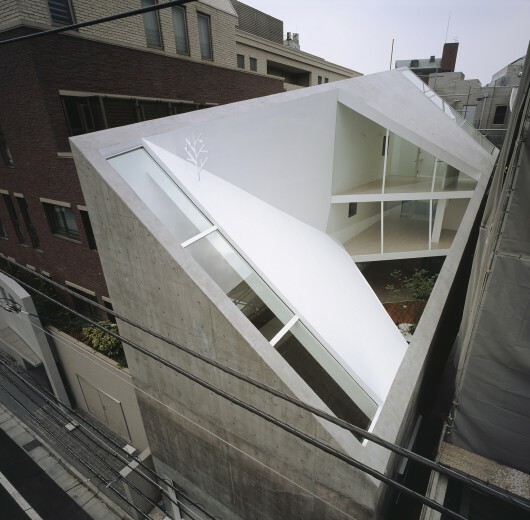 From the street, the house seems very introverted. 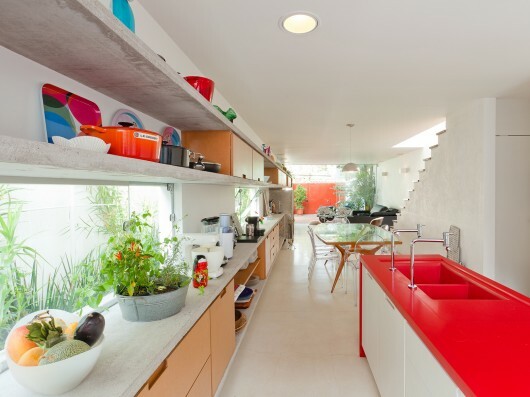 The idea was to preserve the architect’s privacy. Things change dramatically in the garden, towards which the house opens up completely, with large windows. The living room oversees the swimming pool, but the most impressive room in the house is without a doubt the master bedroom, situated on the highest point, and offering a 360-degree view. 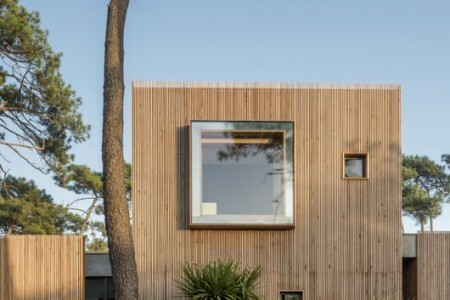 The house was built by Atelier Delphine Carrère. 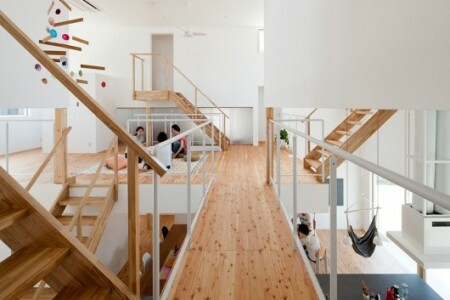 The concept of “shared houses” has become very popular in Japan. The share house is basically a larger house, where the inhabitants share the water systems and the living room, but the private spaces remain separate for each family. 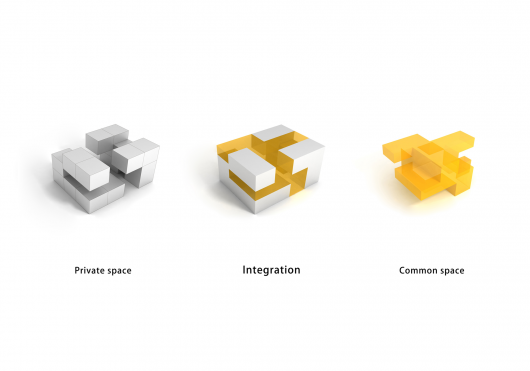 Also, the residents are not family, they are usually complete strangers, so it becomes necessary to create completely private spaces. 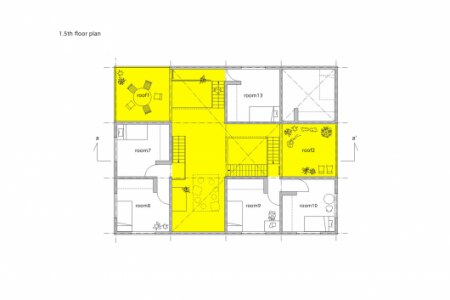 The modern house plans of shared houses are very clear and simple. 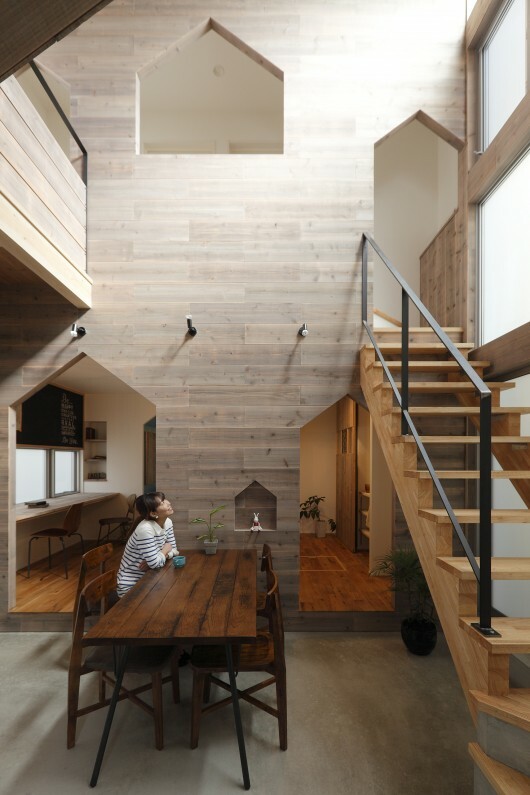 For the LT Josai by Naruse-Inokuma Architects, rooms were laid down in a three-dimensional fashion, so that they instill a sense of comfort, while the entrance hall, atrium, and dining table space became perfect gathering places. 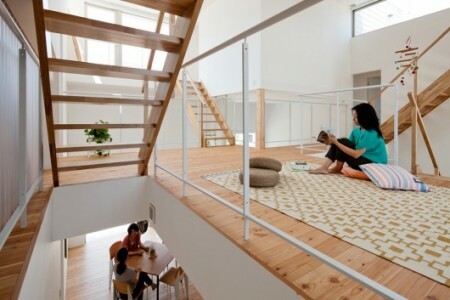 Some modern houses are completely introverted. 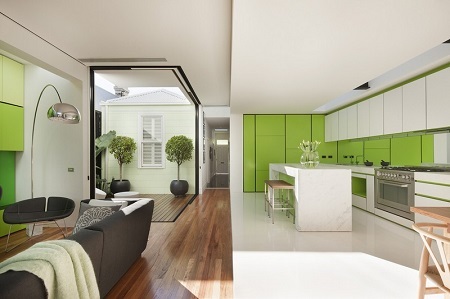 The Green Edge House is a perfect example of this. 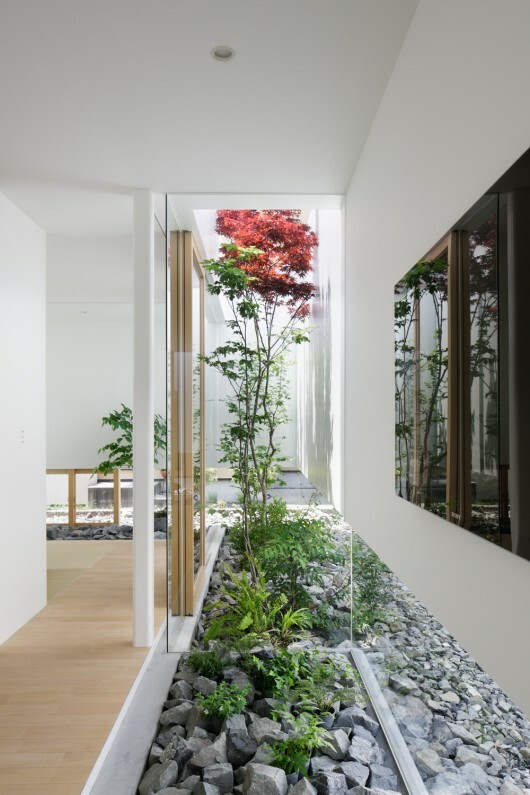 Although it is completely surrounded by white, tall walls, it still manages to bring nature inside. 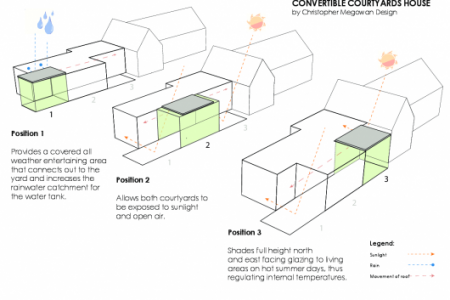 At first, the architects imagined an inner courtyard, but light and ventilation problems made it impossible. 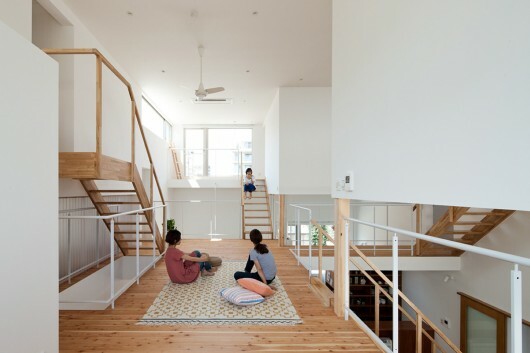 Therefore, they decided to make a house with an outer court. 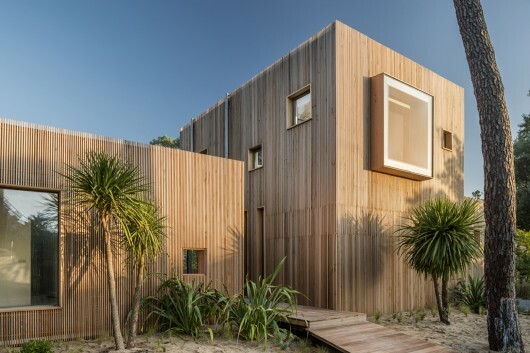 The reason the architects decided to call this house the Green Edge House it because it is made up of a floating wall, which could be disturbing for the eyes from the neighborhood, complete with light, air, and greenery (trees and a plant). This is what makes the green wall come to life. 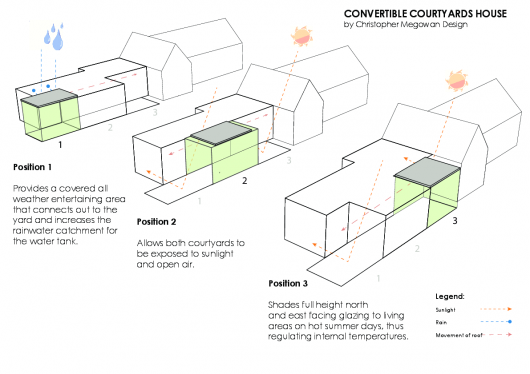 As the name suggests, the Convertible Courtyards house consists of convertible courtyards which adapt according to the climate and the needs of the residents. 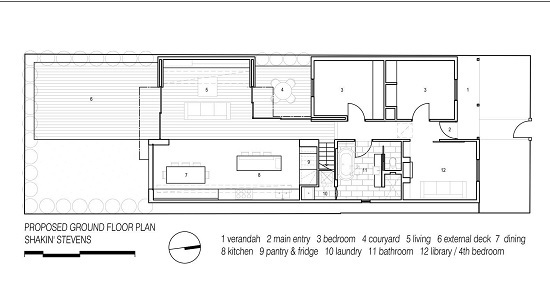 As far as modern house plans are concerned, this one consists of a master bedroom, bathroom, dining area, living area, kitchen, and two decks that overlook the landscape of the Prahran suburb. The conceptual strength of this house built by Christopher Megowan from Megowan Architectural is in the convertible roof, which can move over 12 meters from the North to the South, to cover the gardens. 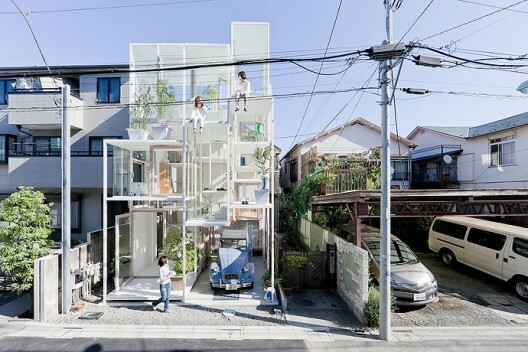 Sometimes, modern architecture is more about what happens on the inside than what happens on the outside. 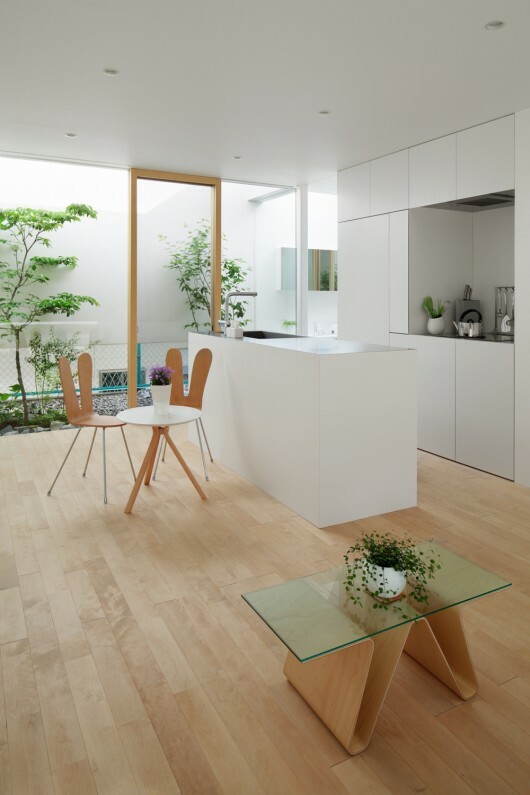 At first glance, there is nothing special about the Hazukashi house, but step inside and you will love it. 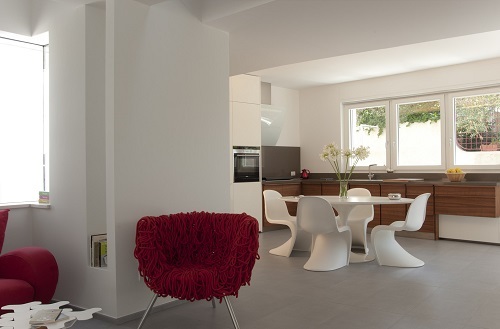 The center of the home holds the dining and living area, where the family can gather. 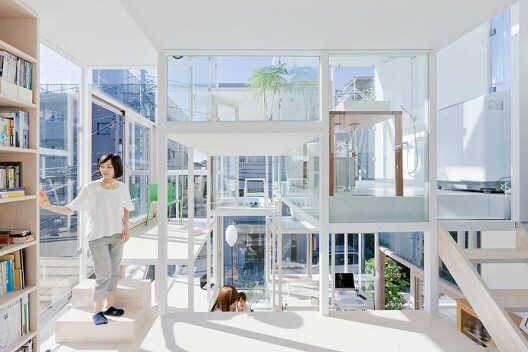 The concept of the architects at ALTS Design Office was to provide light on the inside, and to mimic the traditional form of houses, but with a different purpose. 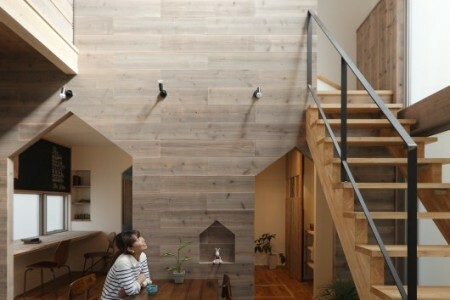 The house can be found in Kyoto, Japan, where it enchants people with its openings and pointed doorways. 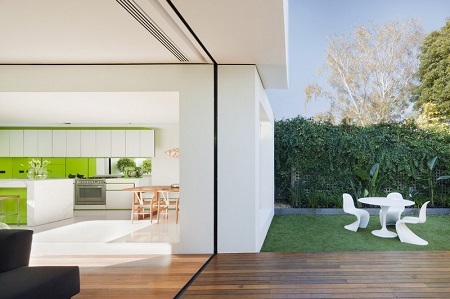 The Shakin’ Stevens House was designed by Matt Gibson Architecture + Design. 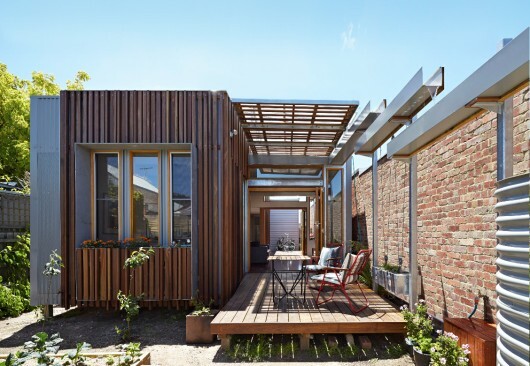 The house is situated in Melbourne, Australia, and it was created as a reflection of the architect’s desire to connect with greenery and green space in general. 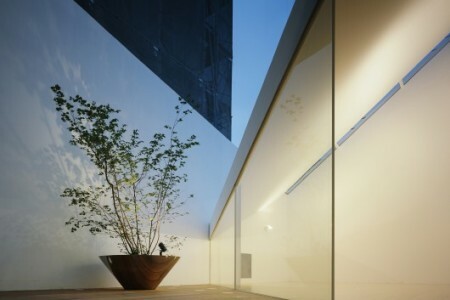 This is obvious from the color used both in the interior, exterior, and landscape surrounding the house. 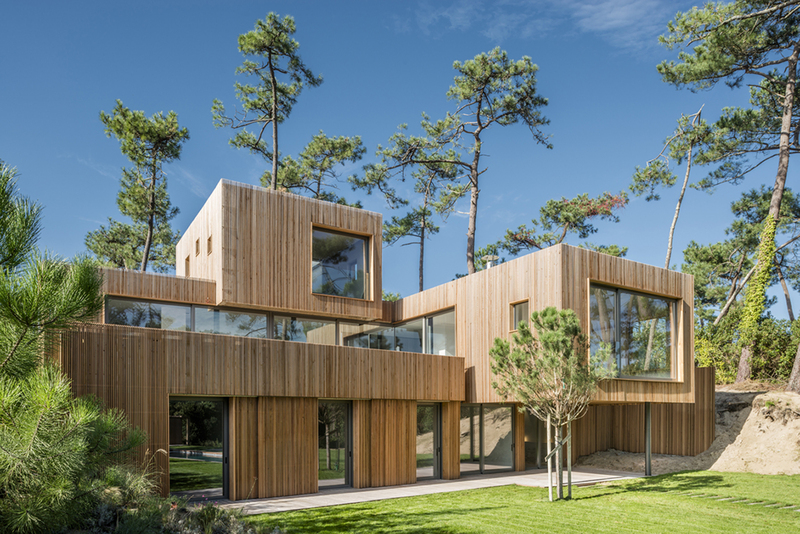 The house was built to create a large, spacious home that is both functional and beautiful, and that extends visually and borrows from the environment. 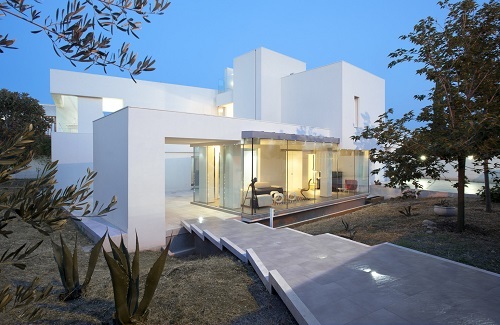 The last and one of the most spectacular modern house designs on our list is Villa Di Gioia, located in Bisceglie, Italy, built by the architects at Pedone Working. 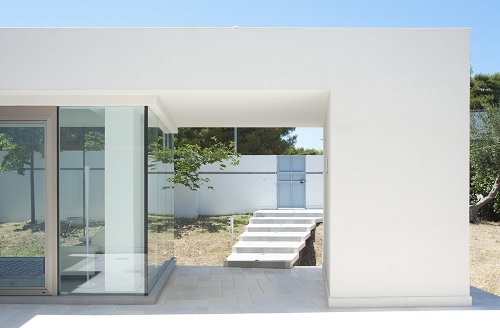 This is a single-family house that was specifically placed in Bisceglie, which is an idyllic and charming seaside resort. 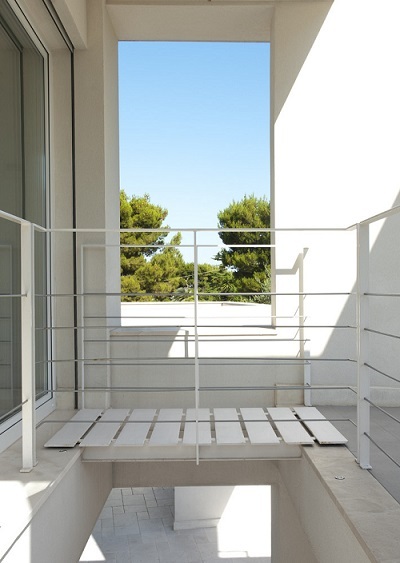 This frames the house in a breathtaking Mediterranean scenery, ensuring it is in harmony with its surroundings. 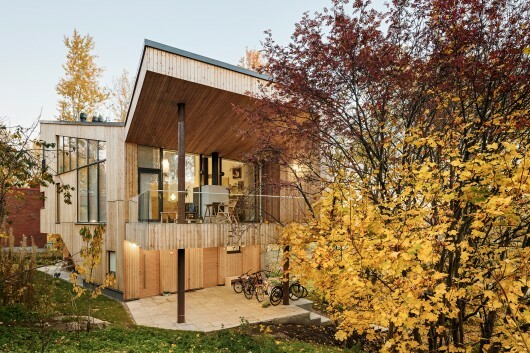 While the colors and the materials used to build this house can be considered quite traditional, the house stands out due to the innovative design, which lacks decorations, and which follows a linear pattern of rationalist legacy. 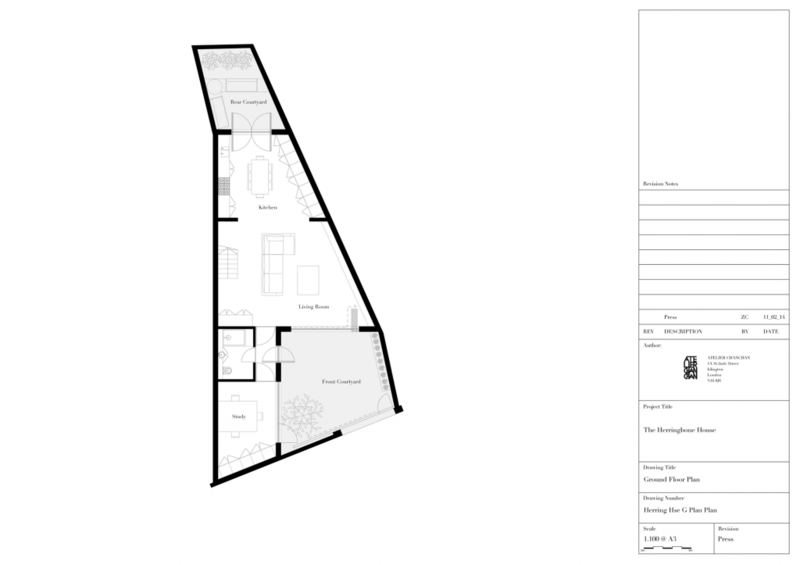 We hope you enjoyed our round-up of the 12 most interesting modern house plans and designs we could find. 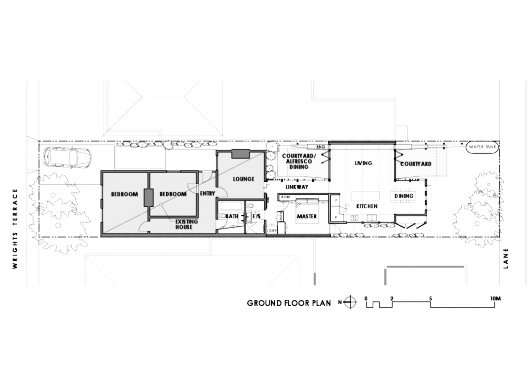 All of these modern house plans use open spaces, daring designs, and integrate nature in a symbiotic way. We’d love it if you would share your thoughts on these plans down below, or tell us about other modern house plans you think we should include in this list.